Madhur Jaffrey stars as the titular princess, flawlessly inhabiting the role written with her in mind. 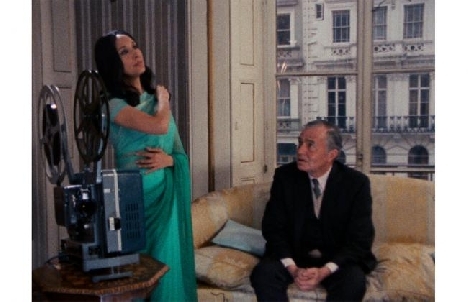 Living modestly in London, the daughter of a once-powerful maharajah invites her fathers tutor, Cyril Sahib (James Mason), for tea and 16mm movies to celebrate her late fathers birthday and to reminisce about the glorious time of his rule. As the princess projects archival footage and documentary interviews with other former royals, she regales her guest with tales of the maharajahs many attributes and urges the former tutor to write a book about her fathers legacy, but Cyril Sahibs polite reticence tells another story altogether.